Kenny Steinberg will help ease the tension of filing for bankruptcy when you meet with him in Steidl and Steinberg’s Greensburg office, located at 101 North Main Street, across the street and on the corner from the Westmoreland County Courthouse. Parking is available in a nearby lot. On-street metered space is also available. Steidl and Steinberg has been a part of the Westmoreland County community for over 30 years. We provided bankruptcy help to people in Latrobe, Murrysville, Derry, New Stanton, Irwin, Delmont, Derry, Harrison City, New Alexandria, Monessen, Export, North Huntingdon, Ligonier and other areas in Westmoreland County. Kenny Steinberg will help address the growing needs of consumers who are facing financial difficulties ranging from foreclosure to credit card debt to civil judgments. Contact us with questions. Take Route 30 east to the West Pittsburgh Street Exit toward downtown Greensburg. Follow West Pittsburgh Street for about a mile to the top of the second hill, which is Main Street, and get into the far left lane. Make a left turn onto Main Street. Take Route 30 west to the East Pittsburgh Street Exit toward downtown Greensburg. East Pittsburgh Street merges into East Otterman Street as it approaches downtown Greensburg. At the top of the hill you as you approach North Main Street will see the Courthouse on your left. Get into the far right lane and make a right hand turn onto North Main Street. Come into Greensburg on Business Route 66 which becomes North Main Street as it approaches downtown. Approach Greensburg on Route 119/Business Route 66. This becomes South Main Street as you approach downtown. You will go past the Courthouse on your left. As you pass the Courthouse, you will approach the traffic light. Go through the light; 101 North Main Street is on the right just past the light. Parking: There is a lot of inexpensive parking in Greensburg, most of it at 50 cents per hour, some at $1 per hour. 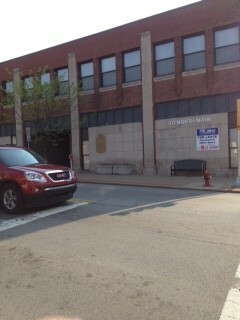 There is street parking in front of our office, as well as a small public lot up the hill from our office entrance. There is a large lot on West Otterman street about a block and a half away. There is also street parking. Our office: Enter the front doors on North Main Street. You can either take the stairs or the elevator to our second floor office. Stairs: Go up the stairs and through the door on your left. Go up the second set of stairs and take the door on the right. We’re almost directly across the hall from the stairwell. Elevator: Go past the flight of stairs. Take the elevator to floor 2 and turn right. Go through the door at the top of the stairwell. Cross through to the other door. We’re almost directly across the hall from the stairwell doorway. Our office is located across the street from the Westmoreland County Courthouse. This is where your meeting of creditors will be held in you’re a resident of Westmoreland or Armstrong County. Go through the main entrance of the courthouse. After you pass through the metal detectors, turn left. Attorney Steinberg will be waiting for you in that lobby. If you live in Allegheny or Butler County, your Meeting of Creditors will be held at the Liberty Center, located at 1001 Liberty Ave., Pittsburgh, PA 15222. Parking is available across the street from the Liberty Center in the bus garage. Proceed through the main doors (between Bill’s Burgers and Bar and Allegent Credit Union). Provide identification to the security guard and proceed to the elevators. Take the elevator to the 7th floor and follow the signs to Room 740. If you live in Southwestern PA, your Chapter 13 Meeting of Creditors will be held at the U.S. Steel Plaza, located at Suite 3250 USX Tower 600 Grant Street Pittsburgh, PA 15219. Parking is available at the intersection of Liberty and Grant Street in the Greyhound bus garage. Proceed down Grant Street toward the U.S. Steel Building and enter the main doors. Take the escalators to the second floor and check in with security. You will need to provide your driver’s license or photo ID. Take the elevators to the 32nd floor and follow the signs to the Office of the Chapter 13 Trustee.